at F.D.R. Studios in Des Moines, Iowa. - Charles Rice Goff III, who was a member of Herd Of The Ether Space and operated the Taped Rugs Productions label. - Phil Klampe, who recorded under the name Homogenized Terrestrials and ran the 6 On The Dot label. - Brian Noring, whose F.D.R. Recordings label was a mid-1990s powerhouse of homemade music, and who with his friend, Shawn Kerby recorded as a duo called 360 Sound. - In the 1980s I recorded under the name of Dog As Master. ... and that is how we arrived at the name Herd Of 360 Homogenized Dogs. We recorded five free improvisations that day in two adjoining rooms of Brian Noring's house in Des Moines, playing instruments and sound-making gadgets supplied by Goff, Klampe, Noring and myself. We switched places and instruments on each of the five pieces. Fasteners, Rocket Ratchet, Frog Clicker, Remo Racquet Drum, Uni-Cymbal Stick, Plastic Ocarina, Tapes. This is one of my favorite recordings in my catalog and one that I feel has stood the test of time and still sounds good 18 years later. 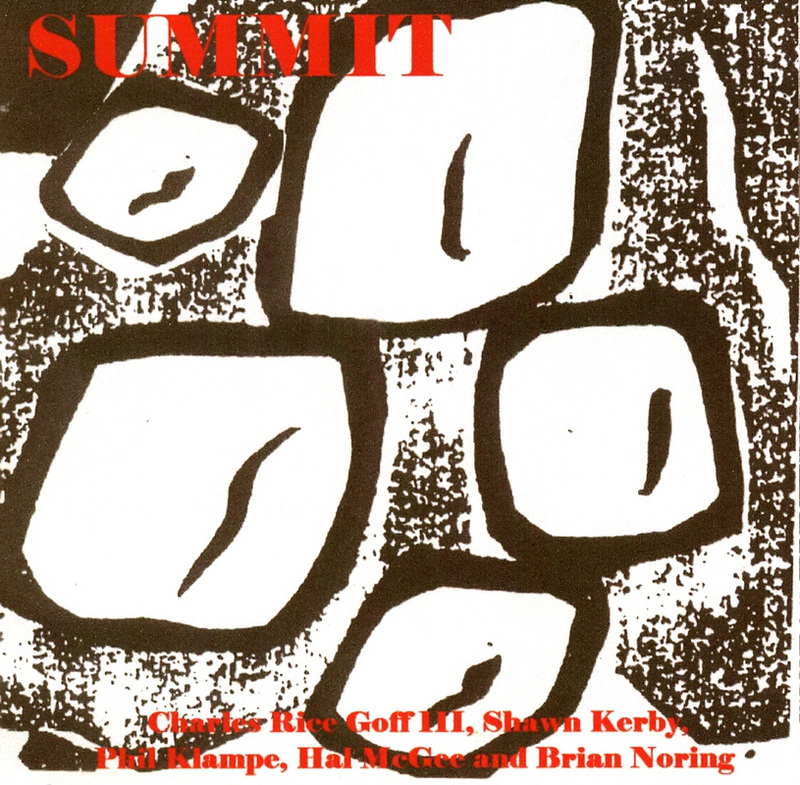 Exotic, surreal, primitive and otherworldly, bizarre but never harsh, Summit is a marvel of minimalist ambient sound exploration. It is truly a one of a kind recording. It sounds amazingly good for five musicians who had never played together as a group before. I had never met Goff and Klampe before this day, although we had traded and shared lots of cassette releases over the years. A summit this was indeed, a meeting of five homemade experimental music friends that went down at my house on October 11th 1997. The outfit consisted of Charles Rice Goff III (Herd of the Either Space), Shawn Kerby and Brian Noring (360 Sound), Phil Klampe (Homogenized Terrestrials) and of course Hal McGee (Dog As Master). We emptied all the furniture out of my studio, and set this up to record live straight to a 90 minute chrome cassette. Tons of electronic (theremin, synth's) and acoustic equipment but most of this is fairly laid back and spacey especially the two longest (and in my opinion best pieces) "Life On Mars" and "Muhammad's Tomato". This was first released on cassette by Haltapes in Oct. 1997, it was also released as a cdr at one point with at least one of the original tracks missing do to space limitations. Regardless of the format or label this is a project we all took great pride in.